Marmoleum Sport belongs to the category of area-elastic sports floor constructions and fulfils the latest European sport flooring standards. Area-elastic floors minimise the risk of injury. 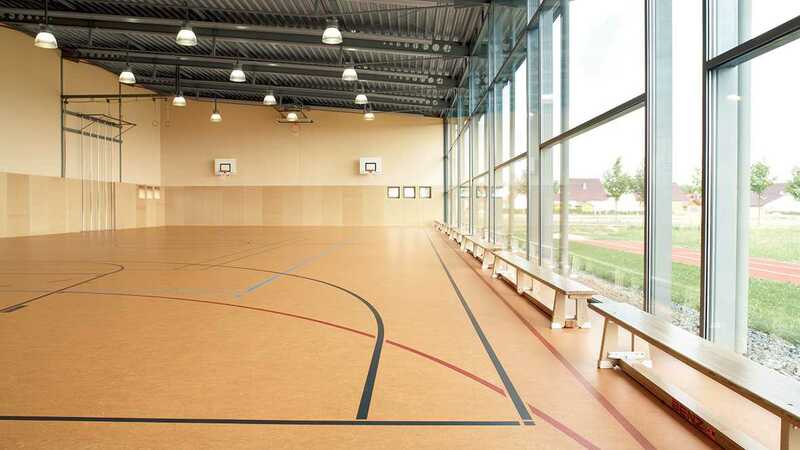 Marmoleum Sport is available in 13 dirt concealing colours commonly applied in sports halls. 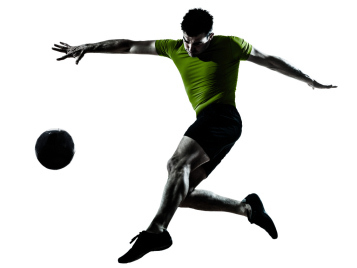 It is durable, slip resistant and - thanks to its natural ingredients - the most sustainable sports flooring choice. Check out the collection here. The 13 colours from our Marmoleum Sport flooring have been designed based on colour patterns commonly applied in sports halls. The colours can be combined to add accented shapes in the floor and they are dirt concealing. For the sports & leisure sector Forbo presents the renewed Marmoleum Sport range. This linoleum sports floor collection offers the normative required material thickness of 3.2 mm for all colours, next to an extensive range of 4.0 mm items. Marmoleum Sport meets the requirements of modern sports and multipurpose facilities. 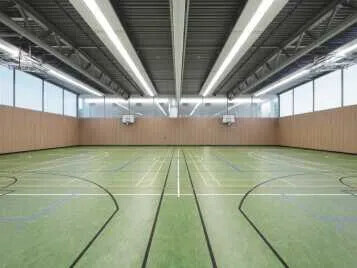 Floor coverings in sports and multipurpose halls have extensive requirements to meet, ranging from professional and semiprofessional sports to jamborees, festivities and school exams. Depending on the usage profile, different floor systems are used. 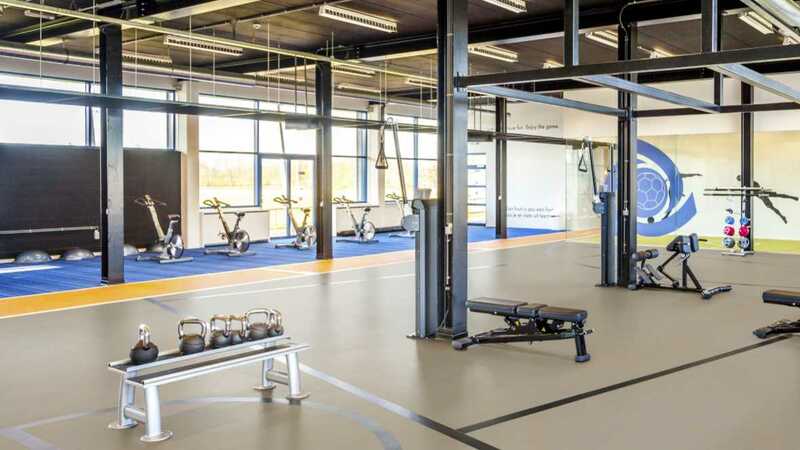 A sports floor construction needs to fulfill safety and sport functional features: a sports floor with Marmoleum Sport as a top coating diminishes the risk of injuries, reduces the risk on muscle fatigue and overstressing. The top layer guarantees optimal performance in terms of anti-slip and glide. 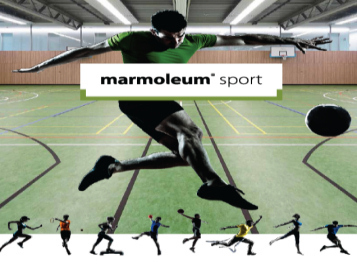 Whether it’s handball, basketball, athletics or gymnastics, Marmoleum Sport does it all. 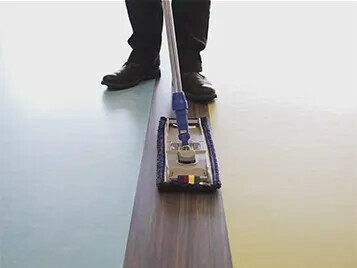 Also driving with heavy loads or transporting weighty exercise equipment cannot harm the linoleum, in combination with the appropriate subfloor. Even festivities like partying and dancing will leave this floor unimpressed: street shoes, cigarettes, drinks, Marmoleum Sport can deal with it. The extreme durability of linoleum guarantees even after years of intensive use the ability to deliver a top performance. Best cleaning and maintenance properties ensure that the floor looks good over many years. The Marmoleum Sport collection exists of 9 expressive yet friendly marbled colours which cover the complete colour spectrum. Ranging from yellow, orange, red, greens and blues to 2 complementary neutrals. The exciting Marmoleum Sport Move collection exists of 4 elegant neutral colours that can be used as a solid base for multiple floors in sports areas. on the street. The chosen colours can easily be combined on the playground, to ensure that an attractive and inspiring floor is created. 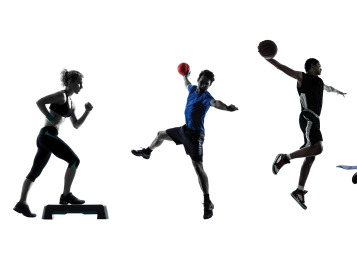 In the end the most dominating area in your sports hall. 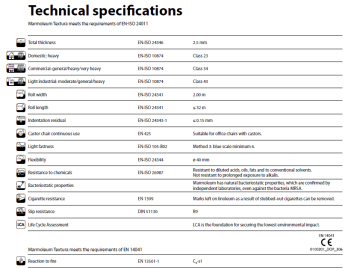 According to the German standard DIN V 18032-2 and European EN 14904 all sport functional and technical characteristics are covered. Taking into account the range of requirements in sports halls in these standards for linoleum sport floor coverings a material thickness of 3.2 mm is recommended. 3.2 mm corresponds to the latest state of the art performance requirements and is in accordance with applicable national and European Standards. It is the composition of ingredients that makes Marmoleum Sport so unique. It meets all the requirements of an ecologically superior product construction and combines a wealth of positive performance characteristics, the end result of the material composition as such. Linseed oil obtained from the seeds of the flax plant is the main component of Marmoleum Sport. 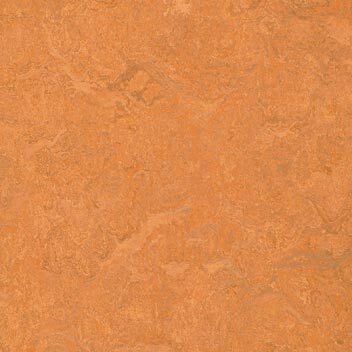 Together with natural rosin, limestone and woodflour the linoleum substrate is created, which is coloured by adding natural or nature-based colour pigments. 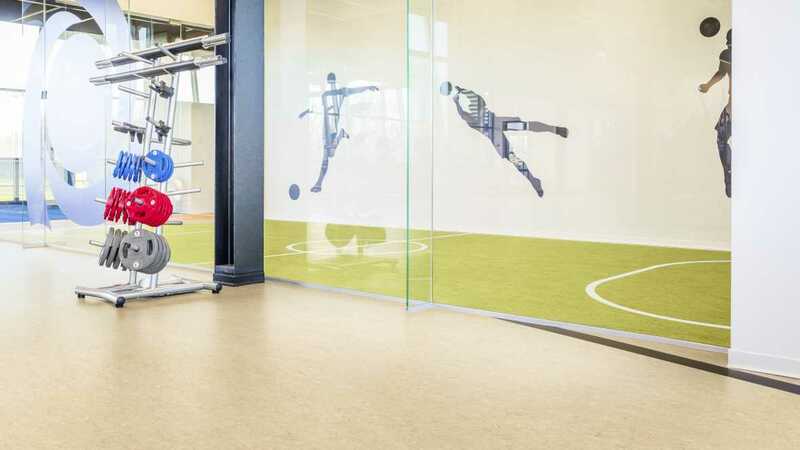 This still flexible substrate is pressed onto a jute woven fabric and then, in large drying chambers, transforms into a tough, durable sports flooring. Using green energy, the production process of Marmoleum Sport is a very environmentally friendly process. Marmoleum Sport can be used as floor covering for several types of sports flooring systems according to EN 14904. The 2 most commonly used are area elastic and point deformation. Marmoleum Sport is perfect for use in area elastic (sprung) sports floor constructions. Area-elastic floors minimise the risk of injury by spreading the force of an impact over a larger area. The combination of a sprung system with a Marmoleum Sport floor covering provides increased force reduction and vertical deformation. This makes it suitable for more demanding sports. The construction of the sprung undercarriage determines the exact performance values. 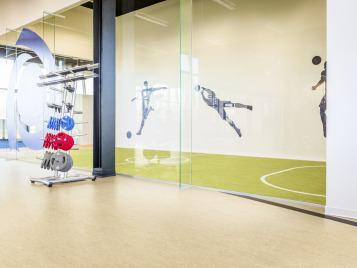 Marmoleum Sport can also be used to create point elastic flooring systems. Marmoleum Sport Elastic is a combination of Marmoleum Sport and a high-tech rubber underlay to cushion shocks directly at the point of impact. This helps to reduce the risk of repetitive stress problems associated with hard surfaces. Nor does the weight of the user determine the effectiveness of the cushioning effect, as with area elastic systems. Point elastic systems are therefore ideal for children’s play areas and lower impact sports. Important to note is that point elastic sports floors are more vulnerable for indentation issues than area elastic floors, therefore too heavy point loads should be avoided in order to ensure the longest possible lifetime of the floor. Marmoleum Sport + an advanced rubber underlay = Marmoleum Sport Elastic Marmoleum Sport Elastic is a point elastic (type P) floor covering that consists of two layers that work together to provide a perfect base for low-impact sports. The shock pad underfloor is made of recycled rubber and foam particles, bound with polyurethane. The top surface is Marmoleum Sport. The rubber underlay and Marmoleum Sport re-installed separately. The underlay can be affixed directly to the subfloor, which makes it a simple and cost effective sports floor system.